Enjoy Utah! : Camping Made Easy! Everything you need to go camping in 3 easy bins! It's camping season! 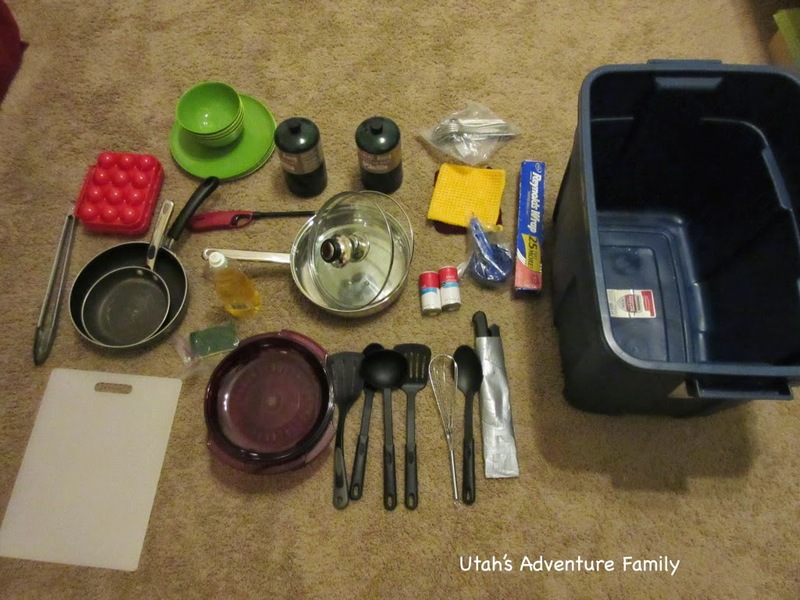 At Utah's Adventure Family we have some great ideas for organizing your camping gear and getting everything you need for your trip into the great outdoors. We have organized the gear into 4 easy to grab bins that can help you get you car loaded in 15 minutes or less. Best of all, it'll always be there waiting for that spur of the moment camping trip, and you'll never miss a thing. So check out our posts: The Big Stuff, The Cooking Bin, The Tent Bin, and the Other Essentials to make sure that you get everything with you the next time you're on the road. For more information on festivals, hikes, museums, camping, and all other adventures in Utah, come over to Utah's Adventure Family and follow us on Twitter, Instagram, Facebook, Youtube, or Pinterest.